Anyone who has seen me shoot a wedding knows that I get misty eyed. Every. Time. BUT this one really got me. I could feel the love they had for each other as two families became one. With their children beside them as the wedding party and their family and friends looking on Brenda and Steve said "I do" at the Prescott, Resort.. 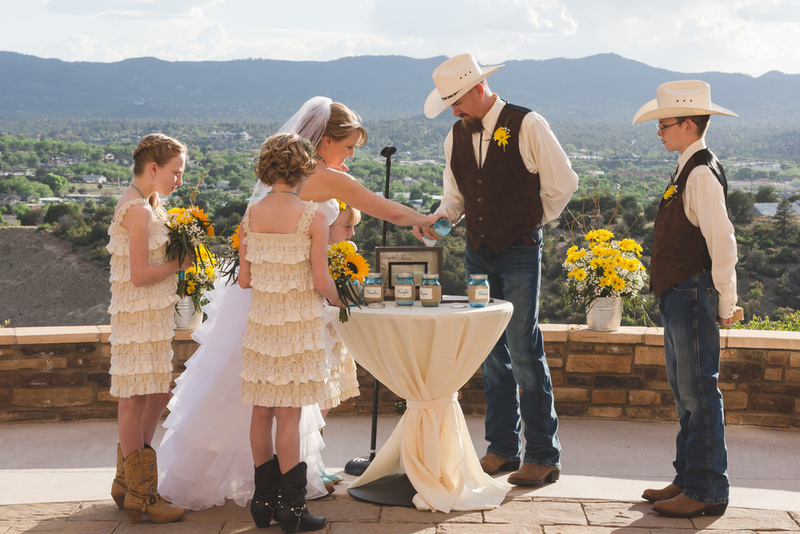 The rain clouds cleared and made way for a beautiful warm sunshine filled ceremony over looking historic Prescott., AZ. 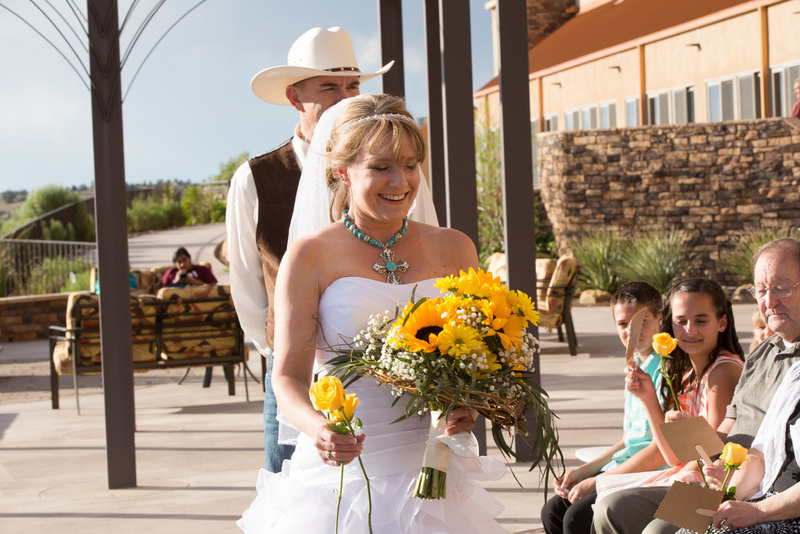 Golden sunflowers and pops of turquoise made for a cheery country theme. Boots and cowboy hats completed their look. Handmade items, such as her necklace and the burlap n' lace aisle runner, made this wedding feel deeply personal and filled with joy. We wrapped up the evening with photos in front of a breathtaking Arizona sunset. Congratulations Mr. and Mrs. Stinson (and kidos too)!